How quickly things can change. One minute we have one of our very own strongly speaking to an incoming addict about the benefits of our Restoration House program and the next, he himself is missing. It was a beautiful, quiet Friday morning. 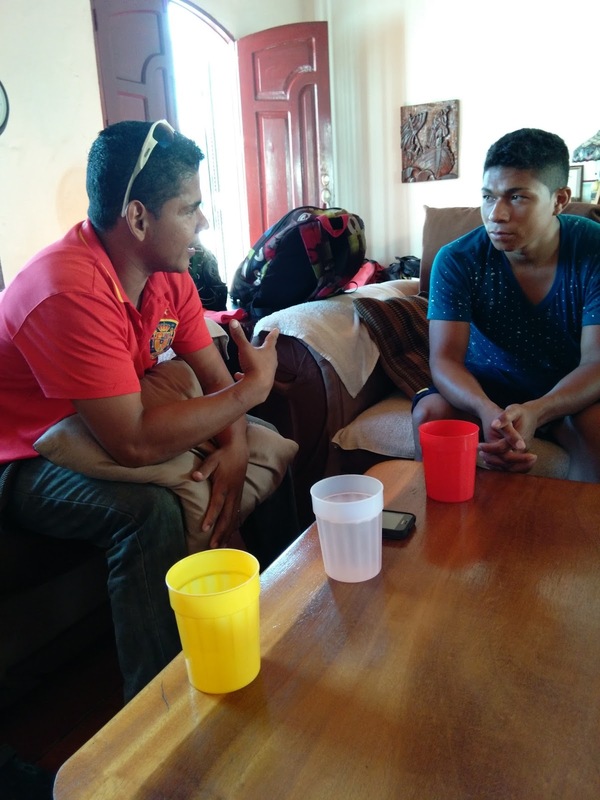 Wilber brought to our home a potential young man to join the recovery program in the Restoration House. When Wilber entered it was apparent that he was in great distress. Hours earlier, his beloved cousin who struggled with drugs and alcohol was killed in a street altercation. Wilber is 14 months clean and his passion is to see that no man continues in their struggle with addiction. 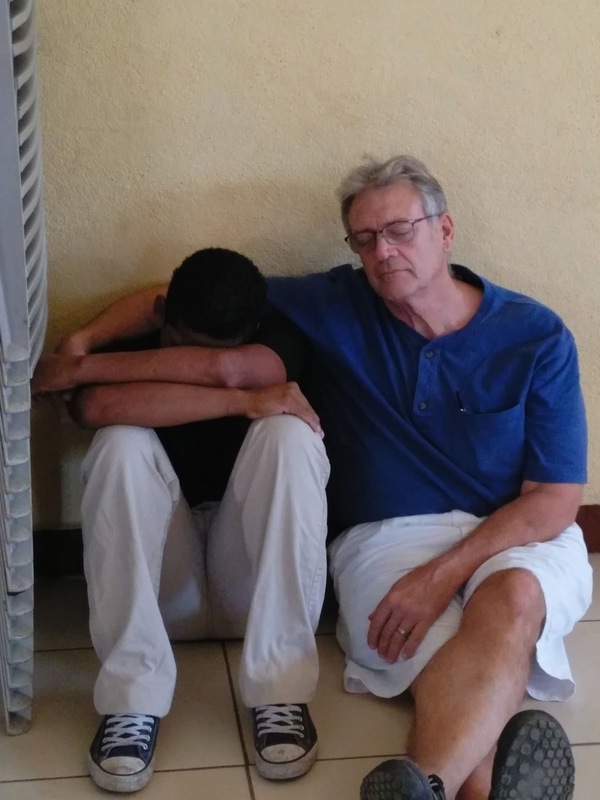 Because of his loss, he is now more determined than ever to go into all the streets to find young men who will listen to his story of living clean and free. Aroldo has been in and out of our lives since 2010. He struggles with several addictions and yet he loves to learn more about the Word of God and experience His loving, awesome presence. On this particular Friday morning, he was sharing with the newbie all about life in Casa Restoración (Spanish). He was passionate about how the program was helping to transform his life. 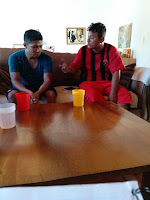 The meeting lasted a couple of hours, the temperature was usual for this time of year in Nicaragua - HIGH; nothing had been prepared for lunch, so it definitely was a McDonald's kind of day. Air conditioning, daily specials and with a brood to feed, it was the perfect affordable place to eat. We had a fun lunch, lots of laughter, sharing, teasing and just enjoying each other's company. After lunch, we had an errand to run and needed Jack Noel to accompany us. 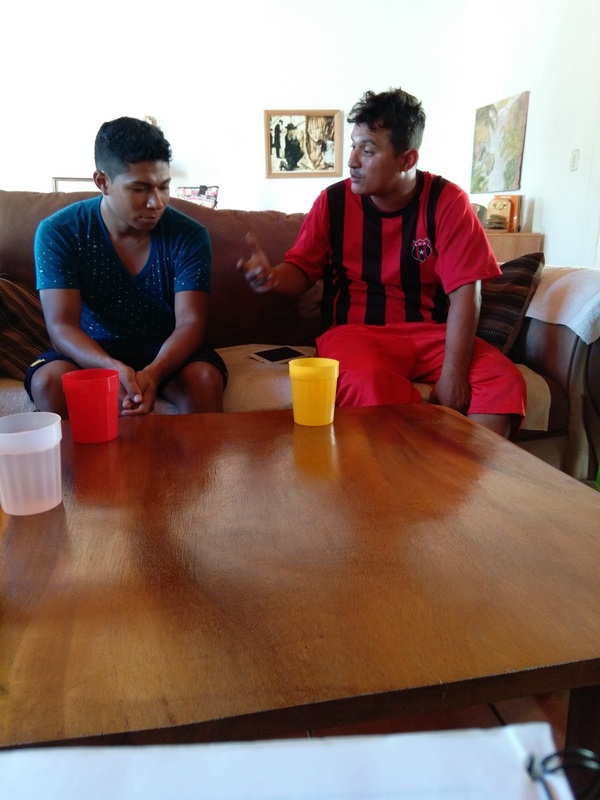 Aroldo volunteered to take Noel's wife and baby back to the Casa in Noel's tricyclo. Forty-five minutes, just 45 short minutes it took us to arrive back at the Casa only to have Noel's wife greet us at the door to say that Aroldo was gone. He had dropped her at the Casa, changed his clothes and walked out without a word. No warning signs, no moodiness, just passion, fun and laughter one minute and the next he is no where to be found. We tried repeatedly to call him, eventually he turned off his phone and then he sold it. He was gone for 3 days before Wilber found him and brought him back. Upon his return, we learned that during lunch on that Friday, Aroldo had been texting with a foreigner whom he had met days earlier at the mercado and agreed to meet up with her. As I mentioned, he struggles with many addictions. For days after he returned, he was quiet and isolated. The shame, regret and accusatory voices in his head were coming at him continually. After the initial reprimand, there is not much we can say. It was evident he was beating himself up enough. We held back the "I told you so's" and just tried to be a source of love whenever he would accept it from us. It's the same ole story with him, it's usually a girl that trips him up. He is so starved for acceptance and love, that he repeats the same mistakes over and over. The story of his earlier years is heartbreaking and one can understand his need for some sense of significance. As much as we continue to share with him where his validation and identity really comes from, it never seems to penetrate his heart. So, we wait on the Holy Spirit to do what only He can do. Aroldo is bouncing back but the infectious laughter and glint in his eye is missing. He asks us often "why are we patient with him". He doesn't know that it is a different kind of patience, some days we want to wring his neck. But the patience that he experiences from us is a knowing that there is a great plan for his life. And so, we keep loving him and working with him as long as he continues to reach out to us.